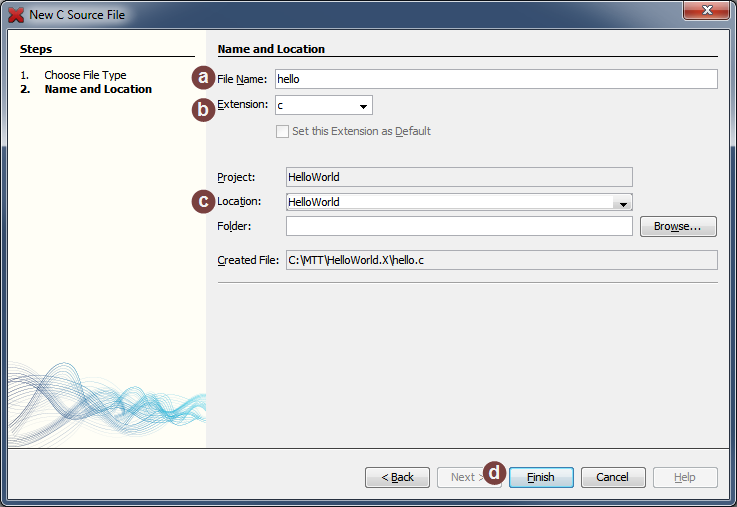 This method will create a new file without adding it to a project. 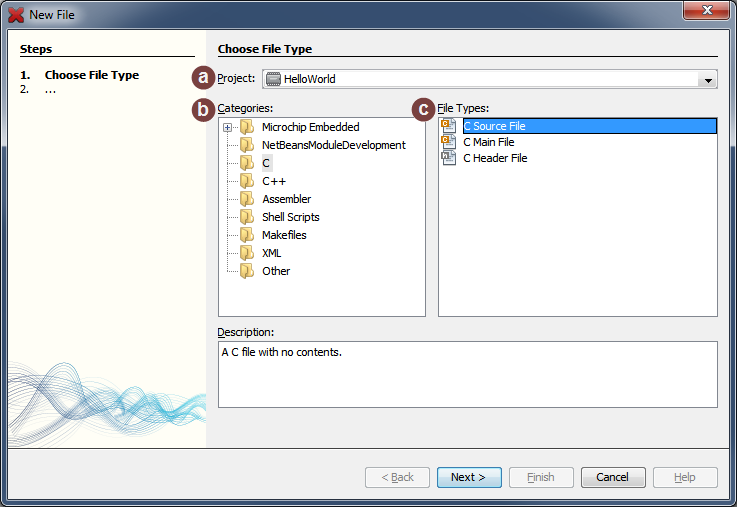 There is a different method to create a file in a project directly. In the Files Window, select the directory where you want the file to be created. Your only options are the project's base directory or one of its subdirectories. 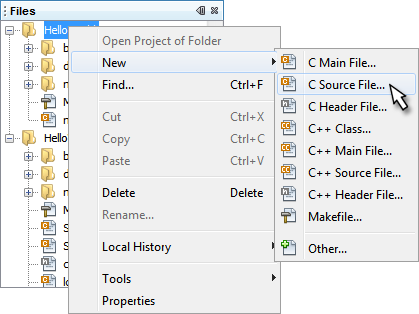 If multiple projects are open in the IDE, you can choose to create the file in any of their directories or subdirectories. Right click on the folder where you want the file to be created and select New ▶ FileType… from the popup menu, where FileType is the kind of file you wish to create. Skip to step 4. If no file types are listed in the popup menu or the kind you want isn't shown, select New ▶ Other… and go to step 3. Choose the Project into which you wish to add the file. If you selected a folder in step 1, this should already be set for you. 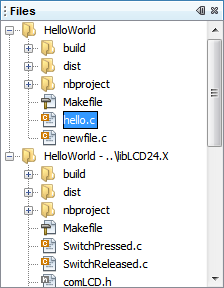 This will only create the file in the project's directory - it will not be added to the project in the Projects Window. Choose one of the Categories of files you can create. Choose one of the File Types you wish to create. Name your file in the File Name field. Choose an Extension (e.g. ".c", ".cpp", etc.). In general, this should be set automatically to the correct extension based on the file type you created. Choose a Location or Folder where the file should be created. If you selected a folder in step 1, this should already be set for you. In the Location combo box, choose the physical location where you want the file saved. 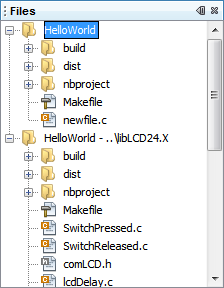 In general, the only option will be the project folder (HelloWorld in this example). However, if you have added any existing files or folders to the project that are not in your project directory, you can also select one of those locations to store the new file. Optionally, select a subdirectory of the Location by clicking on the browse button next to the Folder combo box and picking a directory. The Created File item will show the full path for the new file to help you verify that you have chosen the options above correclty. You should now see the new file in the Files Window under the directory you selected in step 1. You may at any time add the file to a project if you wish.